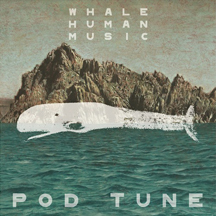 A review of two whale records that ran in the December 2015 issue of The Wire, David Rothenberg’s New Song of the Humpback Whale (Imprec) and Pod Tune (Pod Labs). During a visit to southeastern Alaska last summer, I found myself packed tight with fellow eco-tourists on a whale-watching skiff that had motored into a large pod of feeding humpback whales. Dozens of creatures surrounded us, spouting, cresting, flashing their flukes and performing the occasional breach. All of this was obsessively recorded by the phalanx of iPhones, Nikons and Canons around me, a spectacle whose acquisitiveness alienated me from the amazing scene before me. Then the guide dropped a hydrophone into the drink, and soon a procession of sounds–squeaks, gurgles, moans, rattles–emerged from a cute little HoneyTone amplifier. Though feeding humpbacks do not produce the long songs the animals are famous for, the uncanny sounds looped me into a flickering intimacy with these alien beasts. Despite the crackly amplifier and the increased mediation installed by the tech, the sounds brought me inside the Outside. New Songs of the Humpback Whale offers far more high-fidelity opportunities to ponder, enjoy, and possibly commune with humpback whale songs in full effect. 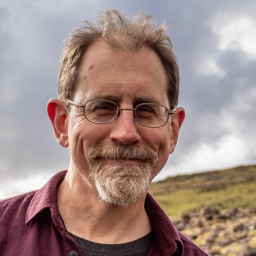 The spectacular recordings were gathered, edited, and in some instances captured by musician and scholar David Rothenberg, who has written a number of books about animal sound. Drawn from sites around the world, these recordings have been processed to reduce ambient ocean sounds to a minimum. But for a modicum of echo, the whales’ vocal performances are therefore set apart from the usual underwater ambience of “environmental” or New Age recordings. What we are greeted with instead are accomplished animal soloists offering a series of highly dynamic but tightly controlled sound chunks packed with rich overtones: groans, chirps, yaps, grumbles, barks, and what one whale scientist colorfully calls “screals”. Neither relaxing or particularly “haunting”, these alien vocalizations reward close listening. But appreciating their timbre and scrape gives way to the equal rewards of sensing their structure: the repetitions, phrases, and nested refrains that make up the larger assemblage of a single humpback song. In the ocean, these compositions can last up to half an hour, and are often repeated by the singer—usually solitary, and always male–for many hours. Though edited down here, the songs Rothenberg presents offer plenty of compositional sweep, which some nifty whale sheet music included in the booklet (and online at bit.ly/whalemusic) helps illuminate. The final recording has been sped up and pitched down to bring it closer to human-scale musicality, though this manipulation hardly seemed necessary. Rothenberg’s release quite intentionally echoes what remains the best-selling and most widely heard nature recording of all time, Songs of the Humpback Whale, which was released by whale scientist Roger Payne is 1970. Payne was the first civilian to hear humpback songs, which were picked up some years before by bemused navy engineers tracking Soviet subs with hydrophones. Appearing the same year as the first Earth Day, Payne’s album triggered a pop culture love affair that directly contributed to a world moratorium on commercial whaling. Today, the planet’s humpback populations have largely rebounded, even as their signature mournful cry has become a moody New Age trope that Rothenberg’s dry and sometimes grating recordings thankfully challenge. The most fascinating comparison between the two albums however are the changes in the songs themselves. Within any particular ocean population, all male humpbacks will sing essentially the same song, even if they are thousands of miles apart. That said, the humpbacks’ song does not remain the same. Over months and years, this collective song evolves, sometimes quite drastically. For today’s humpbacks, the songs on Payne’s record are moldy oldies; Payne has even argued, like musos we all know, that whale music was just better back in his day. Between their compositional intricacy, their openness to novelty, and their collective evolution, humpback song forces us to ponder the possibility that these vocalizations are specifically aesthetic expressions that go beyond behaviors necessary for survival. According to standard evolutionary arguments, of course, these sounds are purely functional, but what that function is remains highly contested. Many scientists invoke sexual selection, even though, as Rothenberg points out, females basically ignore singing males. Perhaps, as Tobias Fischer and Lara Cory suggest in book Animal Song (Strange Attractor), some animals just like to play with sounds. Indeed, while the reticence to project anthropomorphic qualities like “playful” or “melancholic” onto whale song is understandable, that same attitude also conceals an anthropocentric, all-too-modern bias: only humans get to shape their feelings through music, while everyone else just runs on Darwinian algorithms.